Thinking about renovating your kitchen or bathroom space, or perhaps both? 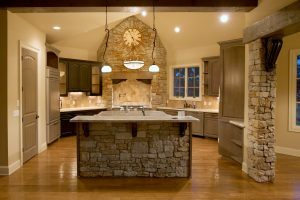 Are you building a home in Western North Carolina or North Georgia and need ceramic tiles and granite countertops for your the kitchen and bath spaces? Highlands Decorating Center has you covered and is Western NCs top choice for Macon and Jackson County Tile. We service Western North Carolina and the areas of Highlands, Cashiers, and Lake Toxaway and North Georgia areas such as Clayton, Lake Rabun and Lake Burton. At Highlands Decorating Center we carry many types of ceramic tile flooring and granite countertops in the latest and best styles. Dal-tile, Florida Tile, Bella Ceramic are some of our brands that we work with each day. We provide full service decorating assistance and diverse selections for all of your tiling and countertop needs in your home. Come and shop our unique selection and tell us about your needs. We love helping customers hand pick their selections. Give us a call or fill out our request form.